I've never really been a fan of Star Trek. So much so that when my friend suggested we see the new Star Trek movie, I thought George Lucas had come out with a new Star Wars film! That's how ignorant I was! But I really am glad I watched this movie! 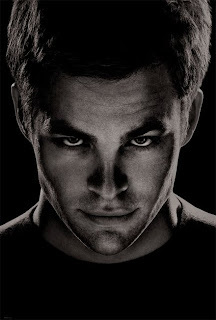 The Star Trek movie was a great introduction to the Star Trek universe, and infact a prequel to the popular TV series. The movie introduces the various characters of the Star Trek world, Kirk, Spock and Uhura to name a few, and how they met for the first time. The CGI of the movie are astounding, and it's an absolute delight to watch on the big screen. However, this wasn't one of those iPhone type movies. 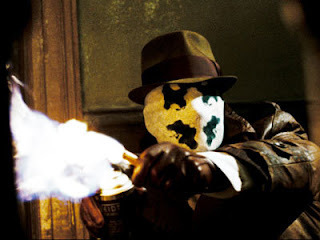 And by that I mean "All style, no substance" kinda movies. The acting was nice, the dialogues were witty, and the storyline was simply awesome! All in all, the movie instantly made me a fan of the Star Trek world, and inspired me to watch the TV series, so I guess, that's a job well done for the makers of the movie!! After watching Madagascar in 2005, I never really thought any other movie could ever compare to it, in terms of a story, or emotional strong points. And it did prove true for every animated movie I watched since then, including the sequel to Madagascar. 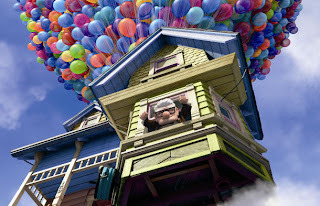 But Up, the story of 78-year-old balloon salesman Carl Fredricksen, definitely goes right up there amongst my favourite animated movie of all time! 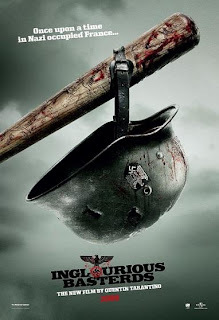 A crazy story, told with such a humane storyline, is what makes Up such a brilliant movie. Through the whole movie, you're either rolling on the floor laughing at the antics of Fredrickson, Russell and Dug, or at the edge of your seats with excitement. The beginning love story, is by far the most brilliant animated love story ever, so much so, that despite having watched the movie over half a dozen times, I still cry in the scene when Ellie passes away. And I have no qualms about admitting that!! That's how brilliantly the scene is shown!! The animation by Pixar, is as awesome as can be, but the emotions portrayed are what steal the cake from them. Everyone - regardless of age -will enjoy this movie, since there's a little something for everyone. And while this may not be a start to finish laugh riot as Madagascar was, it'll definitely leave you with a great feeling at the end!! 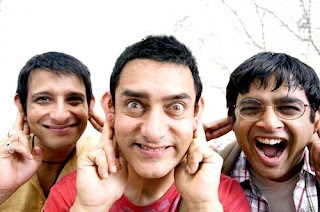 And the number one spot, in LoN's Best of 09 list goes to Aamir Khan's latest venture, 3 Idiots. And I don't think too many people will be surprised by this choice. This comedy with a message, released on the last friday of 2009, manages to pwn every movie I've seen so far with pure filmmaking genius. I must admit, I had a slight reservation whether Raju Hirani, the man who successfully wooed the masses with the Munnabhai series, would be able to tackle a young and peppy theme in the presence of ever-critical, scrutinizing eyes that cry for realism, but only under the fundamental stipulation of it being coated with entertainment, is not an easy task. Nor is it an easy task for a director to make a strong, personal philosophical statement in today's cynical times. Hirani expresses his beliefs clearly and effectively without committing the cardinal sin of getting preachy. And how can we forget the acting. Yeah, I did wonder if Aamir would look odd as a college kid. But believe me, once the movie starts playing, you simply never even think about this. Aamir, Sharman and Madhavan keep you completely engrossed in their conversations, and before you know it, you're dragged into their world. The musical score is brilliant, with some awesome lyrics by Swanand Kirkire, who is known for his quirky lyrics, and manages to create many lovely memories through song and dance in this movie. Sure, some people out there say that 3 idiots is simply Munnabhai MBBS with slight changes like MBBS<-> Engineering, Munna<->Ranchoddas, Dr. Asthana<->Viru S, and so on and so forth, but believe me, as an engineering student myself, I can truly tell you that 3 idiots is a much more unique movie than Munnabhai MBBS. 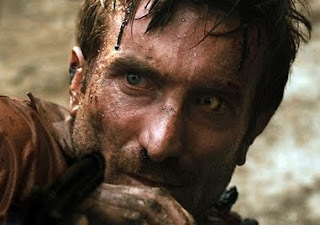 Infact through the whole movie, I saw a character who did stuff exactly as I would, whose thought process was parallel to mine (I won't name that character here. People who know me well know exactly whom I'm talking about.) . And that made me love the movie even more, since it was a glimpse into my own life!! Who steals the show in the end? Everyone steals the show! 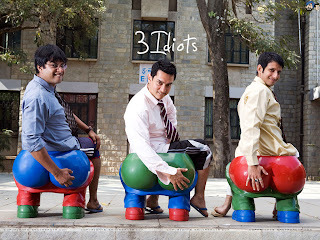 3 Idiots isn't an ordinary film. It's not a standard use-and-throw or watch-and-forget type of entertainer. It's a life-changing experience. One won't look at life the same way after watching 3 Idiots. 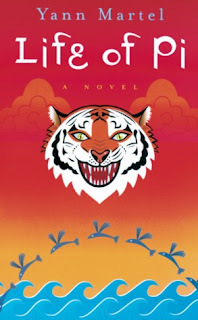 When I first saw the trailer for 3 Idiots, I was disappointed that it looked nothing like 5 Point Someone, the Chetan Bhagat novel which the movie is loosely inspired by. But now that I've seen the movie, I am extremely glad that it isn't based on the book!! Yeah, 3 idiots is whacky, quirky, maybe even a little predictable, but at the end of the day, it's a movie capable of change. Change in the system we know as our education system. We can now only pray that a ripple effect of the movie is felt, in the same way that Lagey Raho Munnabhai managed to create a nation wide revival of Gandhian philosophy!! Well, that's all I guess. Hope you guys watch the movies listed in the posts. Do you agree with my picks?? Do let me know!! Over the year and a half that LifeOfNavin(LoN) has been in existence, I've been overwhelmed by the response it's gotten!! What started out as a means to rid boredom soon evolved into a full-on blog, often appreciated, while also sharing its share of rumour-driven attention. LoN has evolved from being a tech blog, to a random awesomeness blog to a proper personal blog. The final phase arguably started with the first in the ongoing "Stuff I Did This Semester" series of posts. Anyway, one of the favourite sections on the site seems to be the "Contact Me" page, with quite a few people writing in, with both bouquets and brickbats. And I've made it a point to reply to almost every one of them, excluding the "Fraandsheep requests". There are some questions about LoN that have been asked by multiple people. So here are the answers to some of those questions!! The logo next to the title is the subject of many mails that I get... Stuff ranging from "What does that signify" to "Hey, that's a very creative logo" to even "WTF is that?" is pretty common. Anyway, I'll spill the beans. So yeah, It's my name..... Original?? Lame?? Whacked?? Actually, this logo was first drawn in a book during a boring college lecture back in July '09, and I thought it was kinda cool so added it on the blog!! A nice, simple personal touch to a nice, simple personal blog!! This is something that I've told very very few people!! No, I didn't start LoN to write about my life, but to write abut someone else's life!! And that person is a guy whom I consider the greatest physicist who ever lived, Nikola Tesla. I'd just finished watching the movie The Prestige, in which Tesla is portrayed as a crazy but brilliant inventor, which is as close to reality as you can get, and his personality had a profound influence on me! I studied Tesla religiously. Not just his physics, but also his philosophies, his life, his everything!! And I realised how some of the greatest inventions, though invented by Tesla, are to this date credited to people like Edison. This made me so upset internally, that I simply wanted the world know the truth about Tesla. And to vent out my rage, I wrote a long Word document (made up of bits and pieces copied from various sites). Now I simply had to get the word out to the public.... and blogging was a platform to do just that!! Thus LifeOfNavin was born!! The Tesla post was the first one on LoN..... all other posts, including the intro, were written later and then pre-dated!! Why The name LifeOfNavin? Why not something cooler like Life of P[a]i? Firstly, like I said before, the blog was simply meant to vent out my feelings about Tesla. I needed a name for the blog before I could post anything on it... so I simply went with the first name that sprung to mind!! You had a poll to choose the new LoN layout (link), but you didn't shift to the template with the highest votes... Why? I know this seems unfair to the voters considering that I'd specifically said that I'd shift to the template with higher votes, and Acid Rain(23 votes) got more than twice the votes that Studiopress (10 votes) got! But the truth is that I did change the template to Acid Rain for a short while of 10-15 mins, and not only was it too dark, but it also wreaked havoc on the formatting of the previous posts!! So I had no other option than to go for the second best option!! Do you write about everything in your blog? Well, that depends on your definition of "Everything"!! I almost always write on more general topics, that everyone can relate to, rather than esoteric topics that will find barely any readers. But once in a while such esoteric topics do come up. I write equally from my heart and my brain, and try my best not to be opinionated (except in movie reviews). My writing on this blog has progressively moved through topics ranging from tech to space to network security to geekiness to personal posts to rants to complete random coolness!! And I personally feel that's how it's supposed to be...... After all, Randomness= Life Of Navin. 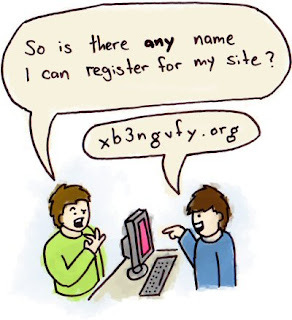 When is the domain coming? Let's keep our fingers crossed and hope that something clicks really soon!! Well, that's all for now! Keep the comments coming in!! Cheers!! Okay, I'll say it outright..... I hate these exams!! 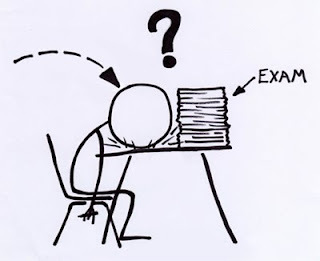 Well, not really the exams as such, just the timing of the exams!! My semester exams seem to have arrived at the worst possible time, and boy, am I upset!! 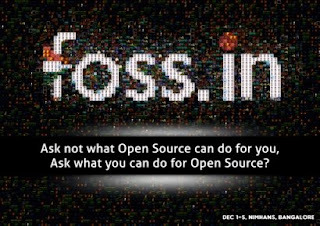 NOTE: Sem exams stretch all the way from Nov end to mid Dec.
Now a few friends from Mumbai and Goan dude Kaustubh Naik, are my eyes and ears at FOSS and are keeping me updated about the event. The Sunday Evening Quiz Club quiz, held on the first sunday of each month are quizzes with some serious standards yet laid out in the traditional Susegaad Goenkaar manner. I really like these, since not only do I get in touch with some of the best quizzers in the state, but also manage to brush up on my quizzing skills (if I may call it that). This month, I'll be missing this quiz as well!! 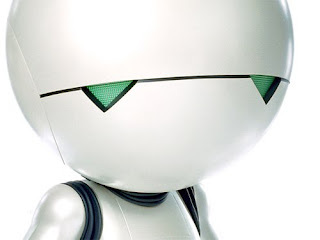 As a consolation though, I'll be the quizmaster at the January SEQC quiz (W00t W00t!!). I think pretty much everyone here knows what a huge movie maniac I am. Well, the International Film Festival of India (IFFI), despite all its flaws, is still a International level film festival, which screened some pretty amazing movies, and I wanted to be a part of it.... And I don't think you'll be surprised to know that it took place entirely during my semester exams!! A tweetup is a gathering of a group of people who've met on Twitter, and there was a Goa Tweetup scheduled for the evening of the 25th of Nov. I had missed an earlier tweetup since I got news of it very late, but I seriously wanted to be able to make it for this one!! Too bad, my timetable played spoilsport!! Hope, other events planned out over the next couple of months, including two national conferences, one national level conference that's to be held here in Goa and one or two college technical fests, work out in my favour!! Update: And just when I thought that the worst was done, it turns out NOTHING works out for me. Practical exam dates came out today, and one of the exams falls on the 18th, a day when the Goa Open, a state level quizzing tournament is to be held!! So one more event added to the list!! Grr! !